In a Chinese ice show, Johnny Weir and Hongbo Zhao did a routine with a few pairs moves (well… the throw axel and they skated together). This program could’ve been more substantial as most of it consisted of Johnny doing laborious crossovers on the ice but the costumes were nice. What did you think of this performance? Let me know in the comments! 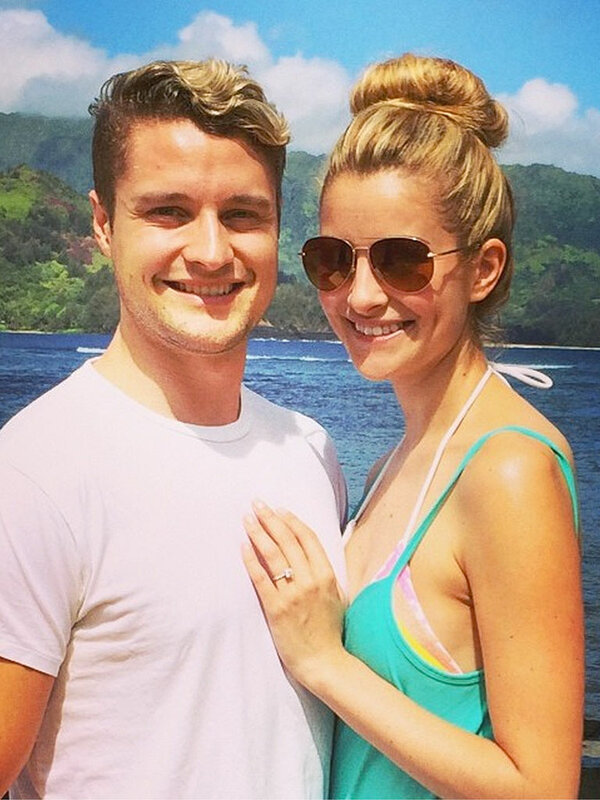 According to this news article, Tanith Belbin and Charlie White are now engaged! And there’s a picture from Charlie’s instagram to prove it! Congratulations, the two of you! I can’t wait for the wedding photos! Tanith will be stunning, as she always is. The field seems to have considerably thinned out after the Olympic season so this is the time for new movers and shakers to make their mark in figure skating history. Any match-ups or up and coming skaters you’re excited for? Let me know in the comments!